REBUILDING USED CHIP SPREADERS--FOR ABOUT HALF THE COST OF NEW. 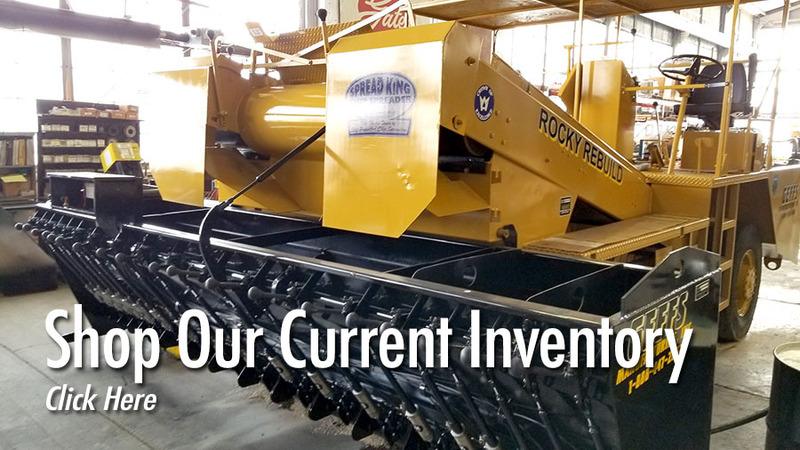 Welcome to Rocky Mountain Rebuild --the world’s largest rebuilder of road construction chip spreaders-- from GEFFS Manufacturing. Click any of the red text links to visit our detailed site at rockyrebuild.com. We can bring your aggregate spreader back to new near condition for about half the cost of a new machine. 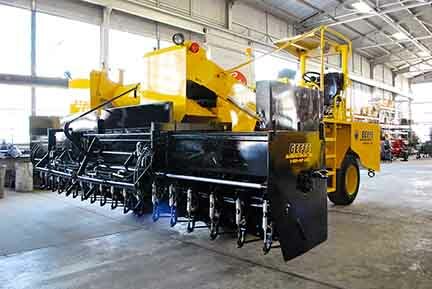 GEFFS Manufacturing helped pioneer the chip spreader industry with roots going back to the winter of 1942. 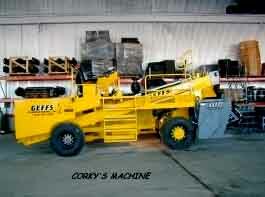 We’ve built and shipped new spreaders and other construction equipment all over the world. Now, we’re bringing that expertise and knowledge to our innovative chipper rebuild program—Rocky Mountain Rebuild. If you have an older chip spreader, we can bring it back to factory certified condition, and save you tens of thousands of $ off the cost of new. Call us anytime at 208 232-1100 to get information about your project. We thoroughly inspect the chip spreaders we bring in, qualify all major systems and components, and repair, replace or rebuild the things that are broken, worn or outdated in consultation with you. Every job is customized according to our customers' needs and budget. One season factory parts and labor warranty. Limited on engine and power train. 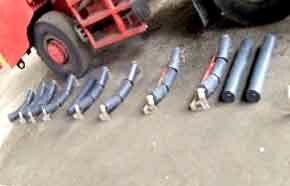 Install new idler rollers and troughing rollers as needed. 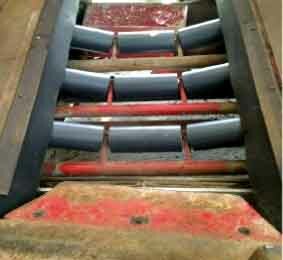 Replace all conveyor belts, lagging strips, wipers, vertical seals, horizontal seals. 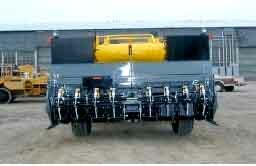 Replace all hydraulic hoses on spreader and hopper. 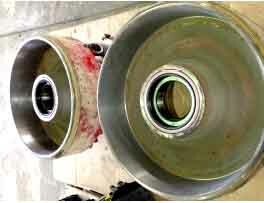 Replace head pulley and tail pulley and their bearings as needed. 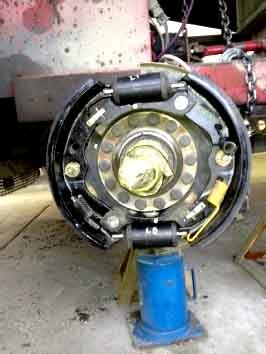 Inspect and replace universal joints, drive lines and PTO shaft as needed. Drain and replace all fluids. Replace injectors and run rack on engine if needed. Inspect all air cylinders on hopper. 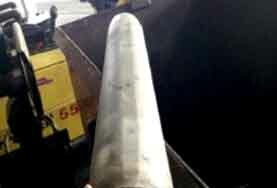 Inspect hopper augers and bearings. Optional upgrade to new plus 1 rate and gate control system with new woven harness and plug and play installation. Check and repair all lighting. 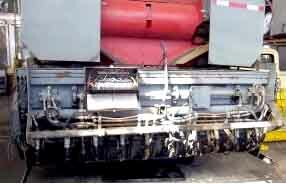 Inspect and replace worn deflector plates above hopper. Clean and flush hydraulic cooler. Seats are replaced or re-upholstered. 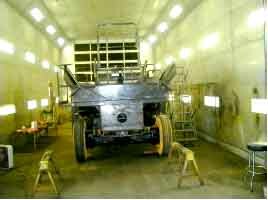 Sand blasted and repainted with professional quality equipment grade paint. New parts and operator manual. 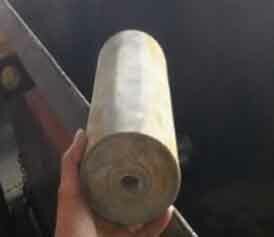 Troughing Roller Wear as Bearings Become Worn. Conveyor Pumps and Accessory Pumps Get Worn Over Time. New Idler Rollers and Bearings are Installed. All New Troughing Rollers and Bearings are Installed. 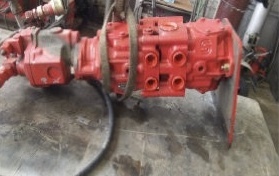 OEM Certified and Approved Remanufactured Hydraulic Pumps are Installed. 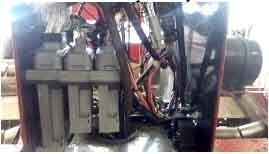 All hoses are removed on expandable hopper as well air box and valve assembly. 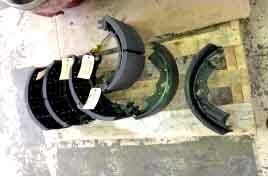 Brakes are inspected for replacement and drums are inspected for wear. What are the advantages of the new Plus 1 Rate & Gate control? Colored display which is brighter in direct sunlight. 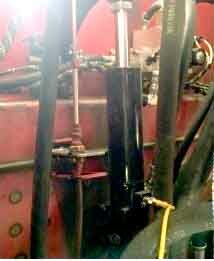 All new hydraulic hoses are installed. All new air manifold and air valves are installed. System interfaces with computer to assist troubleshooting. Rockwell shoe brakes are replaced. 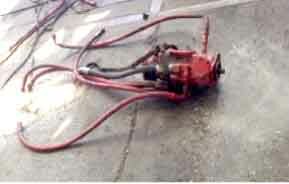 Machine is stripped of hoses, valves, and ready for sand blasting and new paint. New hydraulic gate control valve installed. 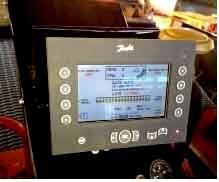 Transmission temp, fuel level all on one screen for operator convenience. Machine is painted back to original colors and decals installed.